This caricature is one of a series by the artist of parliamentary figures. 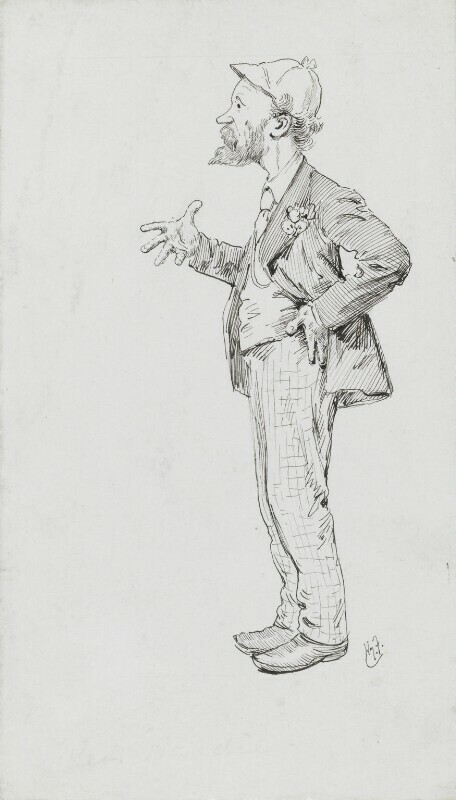 Published in Punch magazine a month after Hardie's election to Parliament, it shows Hardie dressed in the manner that delighted his supporters and was mocked by his opponents. Although by no means typical 'working class' apparel, Hardie's rejection of the conventional frock coat and top hat signalled his challenge to the established ruling class.